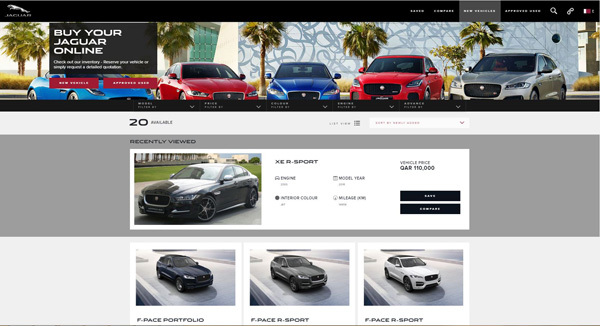 A new e-commerce platform has Jaguar Land Rover leading the charge in Qatar. The launch of the second generation online store has been designed with the new generation of Qatari drivers in mind, by focussing on delivering an enhanced and personalised retail experience. Working in partnership with Alfardan Premier Motors, the new website will allow buyers in Qatar to reserve Approved Pre-Owned Vehicles and immediately take advantage of retail offers from the comfort of their own home. The websites have also been optimised for smartphones and tablets. Bruce Robertson, Managing Director of Jaguar Land Rover Middle East and North Africa, said the ambition since launching the first e-commerce website in 2017 was to move from a platform for online research to being able to purchase a vehicle. 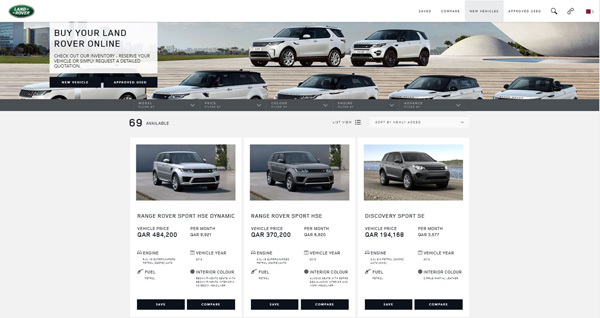 “Our latest update to the e-commerce platform shows that Jaguar Land Rover is dedicated to developing a truly engaging online experience that directly addresses our Qatari customers’ specific demands in the vehicle-buying process minus the excessive paperwork and wait time,” he added. 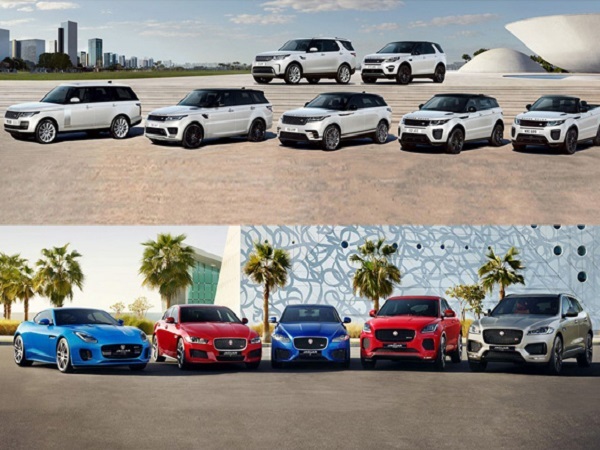 Since the first Qatar website was launched, Jaguar Land Rover MENA has seen strong interaction with users on mobile phones and tablets, with it leading to more than 2,370 warm leads, 1,458 quote requests and more than 640 people booking a test drive. The ambition is that the new site will drive these figures higher, as it supports Qatari customers on their car-buying process.